Cleaning tile floors is tricky and this article gives you the best way to clean tile floors. Your lovely tile floors are clean and shine without worrying about bad impacts. 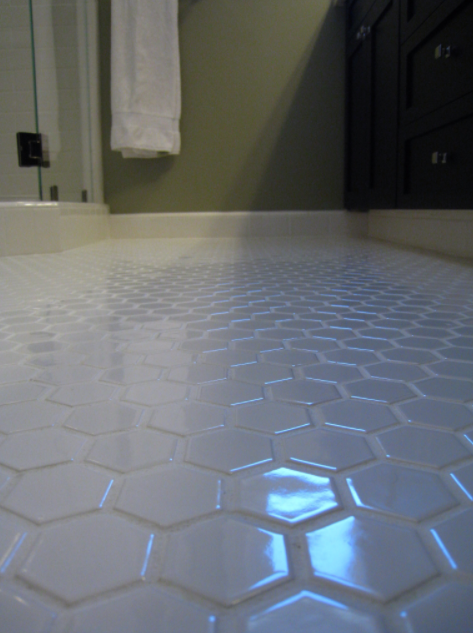 Later, you can do this treatment regularly to keep the tile look like a new even after a few years. Dust is the common problem of tile floor. Just see how dirty your tile floor when it full with dust. To prevent too much dust, you can do daily treatment. To remove dust from the tile floor, you just need to sweep or vacuum the floor daily. This simple treatment is not only useful to remove dust but also loose dirt, food crumbs, fur, and many more. As long as they are not sticky dirt sweeping or vacuuming the tile floor is effective to clean it. After swept the floor, continue the treatment by mopping the tile floor. 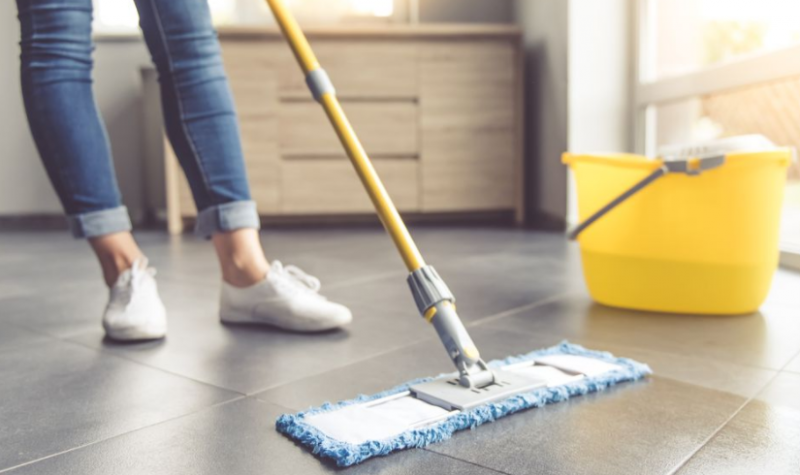 Mopping the floor is the next daily treatment you can do. This treatment is able to remove all sticky dirt which can’t be done by sweeping or vacuuming the tile floor. Use a soft dry or wet cloth to mop the floor. If you want to mop the floor with wet cloth, mop it with warm water. To make the result maximal, add a little bit dish soap or liquid products for ceramic. Most people will let the tile floor dry without doing anything but for faster result and reduce staining effect, you may dry the floor. Just mop the wet floor with dry cloth. The important key is removing the spill right away. Sugary liquid is sticky on the floor and hard to clean after a few days. Deep cleaning treatment is also considered as the best way to clean tile floors. Applying deep cleaning is not as complicated as you can imagine. You have to prepare a bowl of warm water and vinegar. Mix around ½ teaspoon of vinegar on the warm water. Stir the mixture and you are ready to use it. 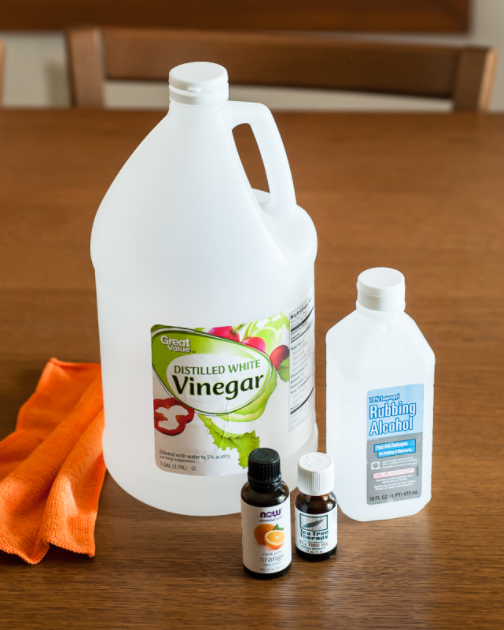 Use this mixture to mop the tile floor just like usual. When it is done, you can mop it once again by using fresh water. Just make sure that the tile floor is clean and shinny. How about removing sticky dirt or stain? Prepare scouring powder and warm water. Mix those two ingredients and stir. Take the mixture by using a clean cloth. Rub the stain or sticky dirt with the cloth. Do this treatment up to 5 to 10 minutes. If it is necessary, you can rub the stain with soft brush. This is the same case if you want to remove mildew from your beloved tile floor. Sometimes, mildew is hard to clean and you need a help from ammonia. Just mix a bowl of water and ammonia. Don’t forget to wear rubber gloves to protect your hand. Apply the mixture to the floor and scrub it with soft brush until there is no mildew anymore there. The last thing to do is rinse the floor with fresh water. Do it again if you think that the mildew is still there. This treatment is great to clean bathroom’s tile floor. Rust spots are also difficult to handle. Actually, you can clean it with kerosene. Wear rubber gloves first to protect your hand. Then, damp a cloth into the kerosene and use the cloth to rub the rust spots. To finish the job, wash the floor with warm water until all the residuals gone. Wait until the floor totally dry to see the result. It looks funny to clean grout with pencil eraser but it is true. 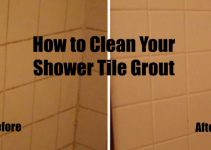 This is the simple way to clean the grout. Just run the eraser until the grout on the tile floor gone. If you don’t have pencil erase at home, you can also use sandpaper and the impact will be faster than pencil eraser. 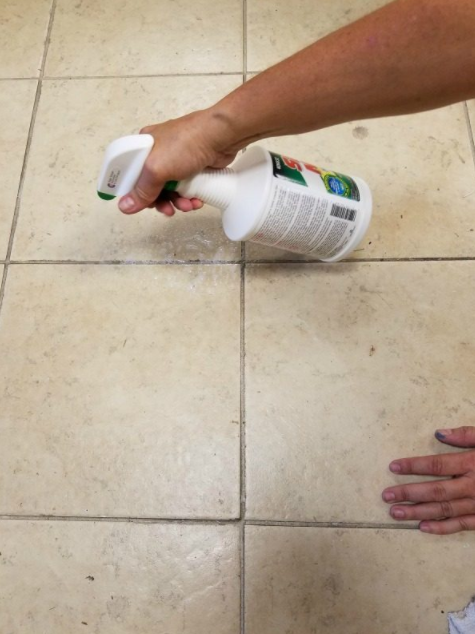 One more simple treatment to remove grout from your beloved tile floor is by applying baking soda. Baking soda is easy to find and affordable to buy. Before applying this ingredient, create paste by mixing baking soda with water. Then, you can apply the paste to the grout. You can rub the grout by using old toothbrush or soft brush. Do it until the grout gone. Let the baking soda remove the grout for a few minutes and then wash the floor. Wait until the floor totally dries to see the result. Repeat the process if you think it is not clean enough. Old grout or strain is frustrating you because it seems impossible to clean except removing the tile. Actually, you don’t need to change the tile. You can apply specific technique namely bleach. To bleach the floor, you should mix the bleach solution and water. Apply this mixture on the floor with grout or strain. Brush it with old toothbrush or soft brush. Don’t forget to wear rubber gloves to protect your hand while applying this treatment. Let the bleach mixture there for a few minutes to remove the strain. Wash the floor with warm water until perfectly clean. Wait until it dries and check the result. Repeat the process if you are not satisfied with the first trial. There are some tips you can apply while cleaning the tile floors. For example, you can use detergent to clean the tile floor but make sure that you choose mild detergents. Moreover, you also need to choose the right mop. To clean tile floor, it is better to use a rag or chamois mop rather than sponge mop. The reason is because the rag mop can absorb the water well so the dirty water doesn’t push into grout lines. As the result, you can clean the dirty water easier and faster. Don’t forget to check the condition of the water. If the water is dirty enough, you have to change it with fresh water before mopping. Just make sure that you are mopping the tile floor with clean water. Try the best way to clean tile floors above right now and see the result. You might get your clean tile floor back just like a brand new.